Home - Renewed Living Inc.
Getting healthy doesn’t have to be difficult. Elaine Gibson is an extraordinary woman. In 2008, she successfully beat Stage IV cancer without traditional protocols, and since then has gone on to share her secrets for recovery, rejuvenation and reinvention with thousands of men and women all around the world. Cited as one of the world’s top ten natural cancer survivors by Extreme Health Radio (ranked #4) she is a walking example of positivity, radiance and healing who has turned her near-tragedy into triumph for the benefit of mankind. Today Elaine is a published author, sought-after motivational speaker, workshop facilitator, private health coach and creator of the Extraordinary Living Made Easy system. Elaine’s passions are family, green juice, connecting with other passionate extraordinary women and making a difference in an unhealthy world where getting healthy doesn’t have to be difficult. 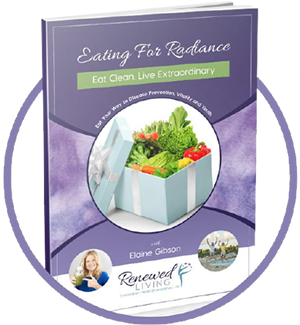 Sponsoring and attending Renewed Living’s workshop series is an honor and a joy. Being in the same room with incredible souls who are there to transform their lives from ordinary to extraordinary is quite inspiring. The knowledge Elaine and her speakers share can be implemented immediately and the connections made are priceless. Thanks for the help, lost 78 pounds! I just wanted to drop you a quick note to thank you for the Fresh Air Surround air purifier. I wouldn’t normally write you a note just to thank you, but in this case, I must! The air purifier is simply fantastic. Our office has a large room which is accessed by many people, and we had tried for years to get a good purifier. Nothing would do the trick … until now! I also appreciate the personalized service with setup. It means a lot. Thanks so much. Everyone in my office really appreciates it. Coaching with Elaine has been the absolute best investment for learning steps to a lifetime of vibrancy and longevity! Elaine has brought all of her knowledge and personal experience to the table when coaching me about simple strategies that are easy to implement, even with my busy schedule! Beginning in a state of overwhelm running a business and a full household, Elaine has helped me breakdown barriers that were keeping me from living the healthy and vibrant life that I knew I have always wanted (and needed). I started having results from our FIRST phone call! 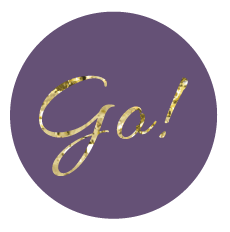 Elaine has helped me to switch off the overwhelm mode and turn on a mode of empowerment and energy! Through Elaine’s coaching and my new healthier lifestyle, I feel more radiant, confident and alive. With Gratitude and Love.